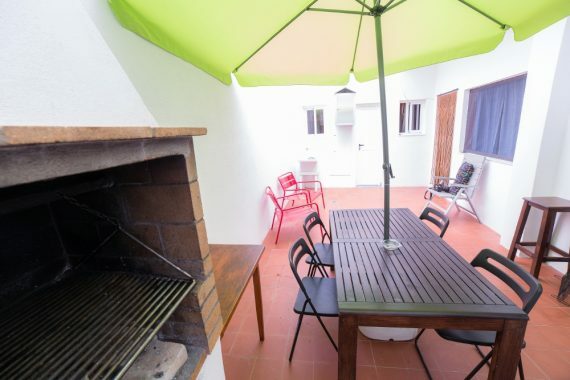 The vacation rentals are set in the street “calla Tabaiba” no. 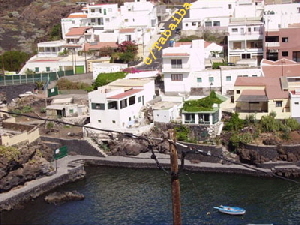 9 & 11 in El Tamaduste, a small village on the northeast coastline of El Hierro. 1 minute walk to the sea. Typical canarian village house with patio. From the living/eating room you have access to all rooms of the house and the patio / courtyard. BBQ. Roof terrace with nice views. In the 1st floor of a two storey apartment house with 2 apartaments.